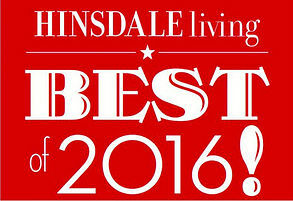 Hinsdale Living's November 2016 issue debuted their inaugural "Best of the Best" survey. In this survey Oakley Home Builders was thrilled to be named in the Best Builder category. We are honored to receive this designation and thankful for each one of you that took the time to voice your support for us. Contact us to learn more if you'd like to bring your dream home vision to life with Oakley Home Builders in towns like Hinsdale, Clarendon Hills or other nearby western suburbs.